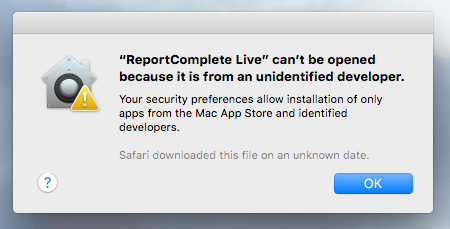 ReportComplete will work on 64-bit Apple Mountain Lion or above. It can also work on Lion with all the updates, but this is not supported. 2. 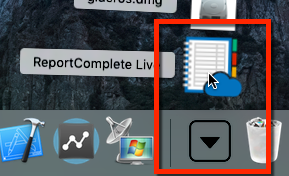 Click on the download tab and double click on the ReportComplete icon. 3. Most Mac computers will allow you to open the program at this point. However if your security settings are set to high you may see the warning that it is an unidentified developer. 4. If you see this warning press CTRL on your keyboard whilst double-clicking the icon, this will enable the 'Open' button, click it. 5. 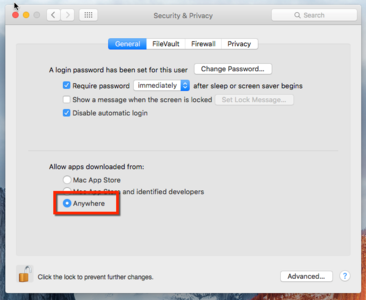 Alternatively you can go to you Macs settings and in 'Security & Privacy' set it to allow apps downloaded from 'Anywhere'. 6. 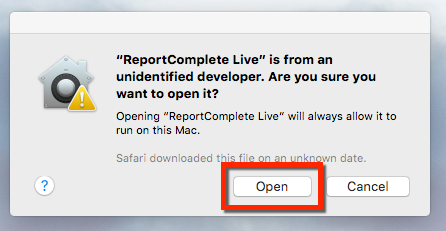 Once started, ReportComplete will ask if you want it to be copied to Applications, we recommend you use this option.